The Fastest Way to Become an Astonishing Card Magician. Our groundbreaking system gives you a proven formula for success, so you can quickly acquire the enhanced skills and confidence of a master! Aaron Fisher Author, professional magician and world-renowned card expert. Real experts don’t need every “move” in the book. They discover a personal path to guide them and they follow it. When you start with the right plan…it’s easy! Real experts understand that great card magic needs a solid foundation. They aren’t swayed by “the trick of the week”. They save time and money – and quickly develop amazing skills and confidence. Real experts don’t waste time re-inventing the wheel. Instead, they follow the proven path…and soon discover their own creative magic potential. Follow It, And You'll Be THRILLED With The Results. Your Shuffle O.S. will give you step-by-step training on every skill you’ll need to secretly control a selected card for your magic. You’ll discover why we’re most vulnerable during the selection/replacement process, and how to make sure you never get challenged during this crucial phase of the trick. Essential Forces and Handling provides you with an arsenal of easy techniques you’ll use all the time. You’ll discover why your selection procedure has a surprising impact on the overall effect of magic and your confidence as you perform. Watching this part of the training is guaranteed to improve your results anytime you do magic. Fundamental Switching and Construction shows you how to switch cards with 100% success by introducing you to the fundamental tactics of misdirection and showing you how to deploy them yourself. You’ll also discover a variety of amazing effects you can already use. At this point in the training, you’ve already gained the 3 tools you need to astonish! Astounding Reverses arms you with powerful methods and astonishing effects. First you’ll be trained in the best methods for mastering secret reverses quickly. You’ll also discover the little known technique known as ‘blocking’, which allows you to quickly prepare new techniques for performance, and how to get superior results when you use them. Double Lifts and Turnovers reveals secrets that allow you to master a no-fail double turnover…fast. This training shows you how to gain skills quickly through a series of simple exercises, and how to use those skills seamlessly in performance. This lesson will change the way you look at the double lift forever. False Counts & Flourishes & Connectors round out the first half of the Pathways System with essential techniques we can’t leave out, including an in-depth training on essential false counts and step-by-step training on the easiest, most valuable flourishes you can perform. You’ll also discover ways to show-off your new skills...without sacrificing the impact of your magic! Classic and Invisible Passes begins your path to Advanced Card Magic with a sleight known for centuries as the backbone of all card magic. You find out why the Pass plays an irreplaceable role in direct card magic. In the process you’ll arm yourself with two of the most powerful sleights ever devised. In fact, the Pass has a greater transformative effect on magicians than any other. The Gravity Half Pass from my book, “The Paper Engine”, has never appeared in any video training before Pathways. You’ll learn why it’s the go-to secret reverse for the world’s greatest magicians, and how to make your own Gravity Half Pass invisible from every angle. You’ll also learn stunning effects that leverage the Half Pass to it’s fullest potential. Masterly Feats of Palming introduces you to some of the most challenging and rewarding techniques in card magic. Some of the strongest miracles simply can’t be done convincingly any other way. In this lesson, you’ll discover the secret to palming any number of cards off the top or bottom of the deck. More important, you’ll find out exactly how to do it without arousing the slightest suspicion. Side and Diagonal Steals will show you how to make your palming even more direct and astonishing by stealing a card or cards into either hand from any position in the pack. Now you won’t have to shuffle or control a selection to palm it. These techniques have been developed over two decades to make YOUR magic so direct and impossible, audiences will be speechless when you show them what you can do. Advanced Switches allow you to switch cards, or groups of cards, in highly versatile ways. You’ll discover incredibly practical methods that let you perform tricks with any four of a kind – including the crowd pleasing Ace Tricks we all love. After 15 years of testing and refinement, you’ll find this approach to be practical, easy to learn and ready to go anytime you need it. Spread Culling allows you to control any four of a kind as you merely spread through the deck casually. Once you watch this lesson, you’ll be ready to start using one of the most coveted techniques in the world of card magic. This is the easiest, most effective training you can find on this sleight of nearly mythic reputation. Your purchase is 100% guaranteed. If you’re not happy with the Pathways Training System for any reason, simply let our friendly support team know within 60 days of your purchase and we’ll happily refund every penny. No hard feelings. 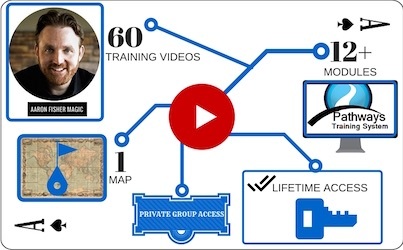 Over 60 training videos take you step-by-step through a system that makes miracles easier than ever to master. You are protected by our Money Back Guarantee. 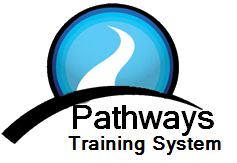 The Pathways Coaching System isn’t just training videos. It’s an actual coaching program, and membership into a powerful group of like minded people pushing you towards success. My team and I will be here for you, to help you get your Pathways to card magic up and running – QUICKLY. I know you’ll have questions along the way and that’s why we created the Private Members ONLY Facebook group… So you can ask questions and get answers from my team and I AND your fellow students. Take Your Path. Become An Expert. Your Audience Is Waiting. Conjuror Community is unique because it is owned and operated by real magicians who are actually professional magicians & entertainers. We are loved by a huge group of performers who consider us 'The Ultimate Magic Website" where you can get access to the 'pros' and ask anything! We also house the 'Ultimate Magic Library' with video training on all aspects of magic... including the marketing and promotion side of show-biz. 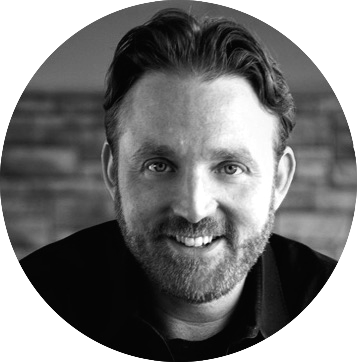 Known as the world's most effective online magic teacher, Aaron Fisher has coached hundreds of magicians, both beginner and professional. He has also performed for Fortune 500 CEO’s and some of Hollywood’s favorite stars. His powerful training programs like The Miracle Man Method and Pathways Training System have helped students reach new heights in magic. Fisher has created hit tricks like PANIC and Machine. Fisher is a co-founder at Conjuror.Community and has also authored one of magic's most revered books on card magic called The Paper Engine.